Here we have beautiful diamond buckle earrings, offering the best in three dimensional design. Perfect for the classy and sophisticated equestrian in your family. 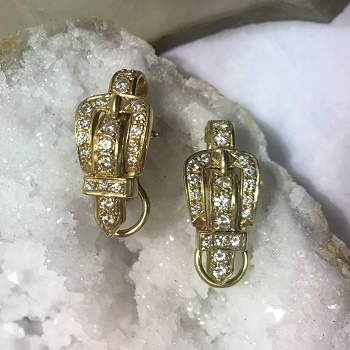 Buckle Earrings are set with .75ct of diamonds.